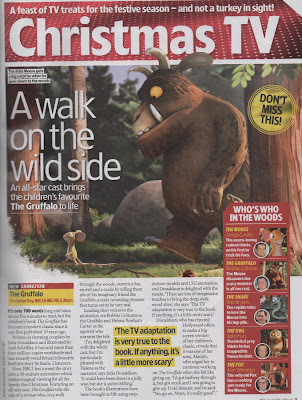 More info from the TV & Satellite Week magazine here, this time on The Gruffalo. 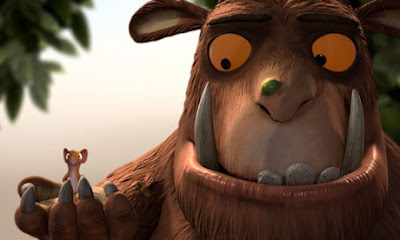 My kids can't wait for this animated feature as me and the missus have read this book and its sequel 'The Gruffalo's Child' hundreds of times to them. It looks fantastic! Click on the scanned image below for a bigger version.